Josh grew up sailing the shores of the Great Lakes. His experience includes cruising and racing, ownership of mid-size C&C Yachts, and chartering monohulls and catamarans in the Caribbean. After earning his Bachelor of Science in Mechanical Engineering he became a Captain in the United States Air Force, serving eight years as a special operations navigator with eight combat deployments. During his later years in the Air Force, he began his maritime career on a part-time basis. This included operating a successful internet based marine supply business. 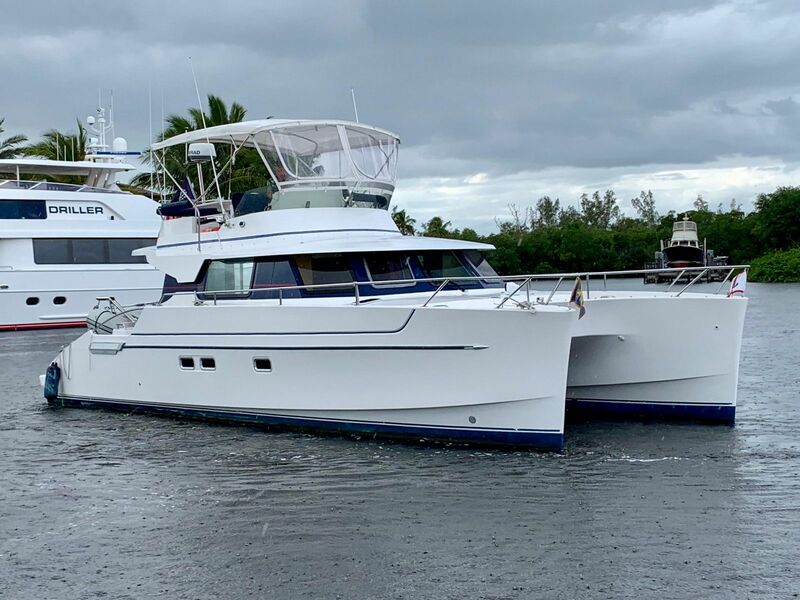 During his early years in yacht brokerage, he built an impressive and diverse group of listings of power and sailing yachts and cultivated a loyal client base. After completing his time in the Air Force Josh moved to Florida to pursue his true passion; a full-time career in yacht sales. 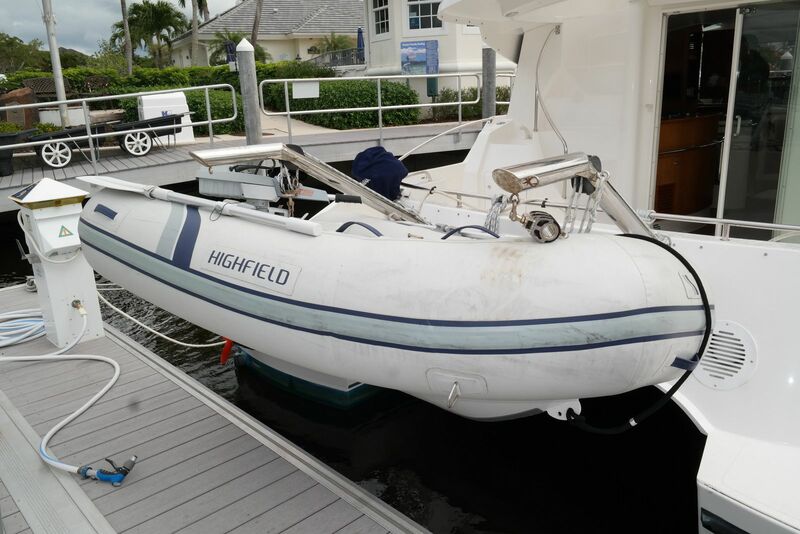 He is currently a licensed and bonded Florida yacht broker at David Walters Yachts. 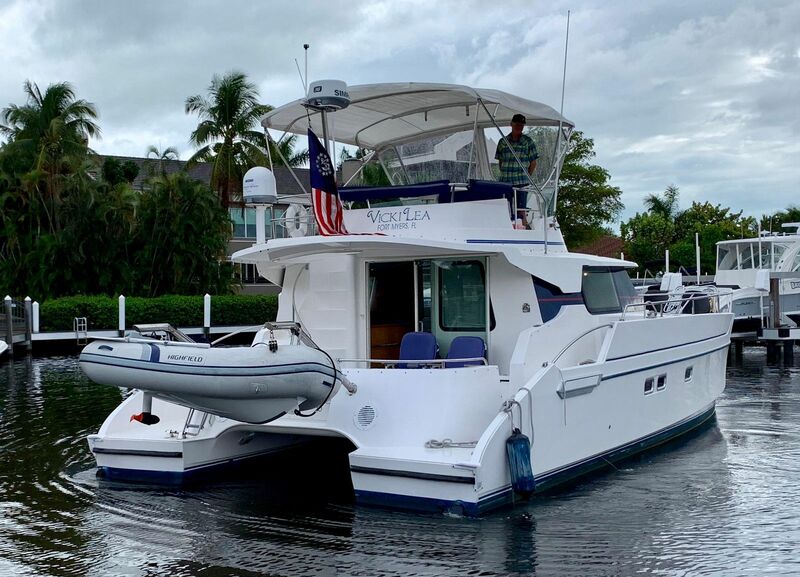 Josh blends his professionalism, sailing experience, and focus on his client's needs to help both buyers and sellers navigate the waters of the boating market. His clients value his dedication and commitment to providing quality brokerage services with results. 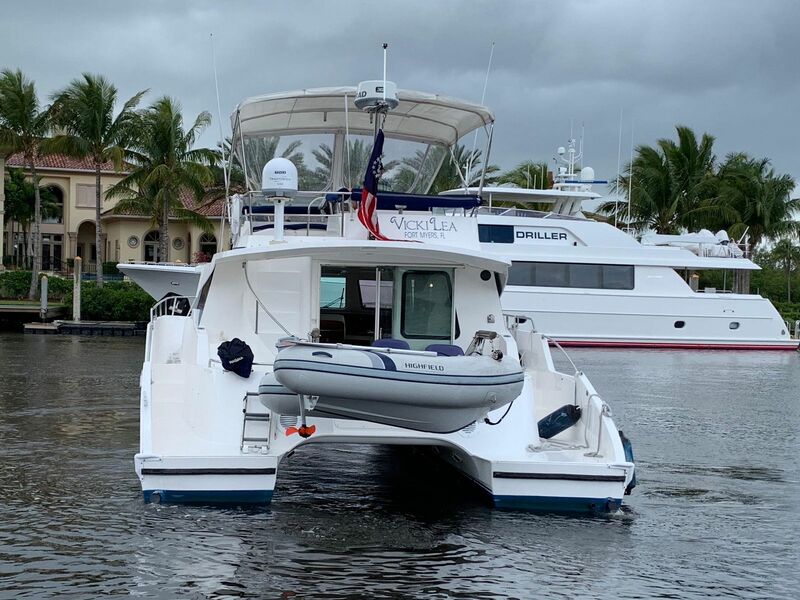 Upgraded Yanmar 240 HP Engines and Northern Lights Generator with Low Hours - Exceptionally Equipped and Ready to Cruise - Impeccably Clean! 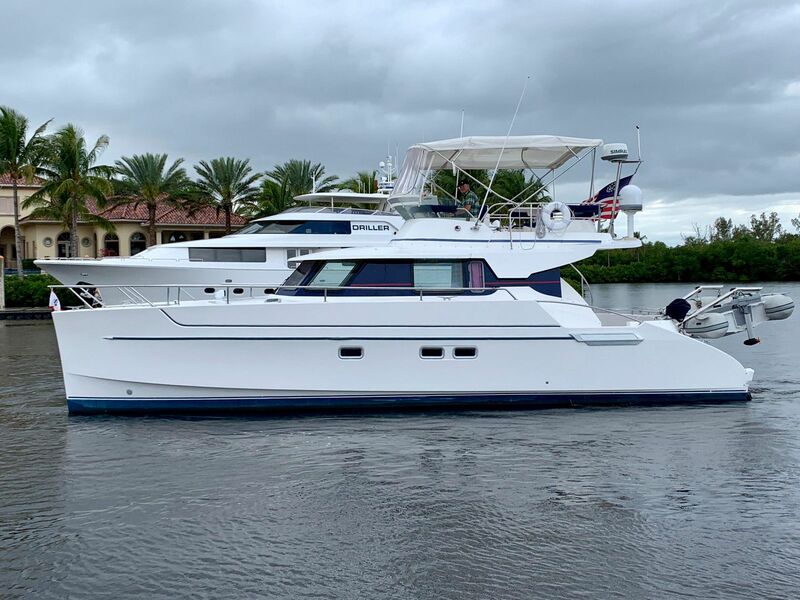 Vicki Lea is unlike any Fountaine Pajot Maryland 37 you've seen yet. 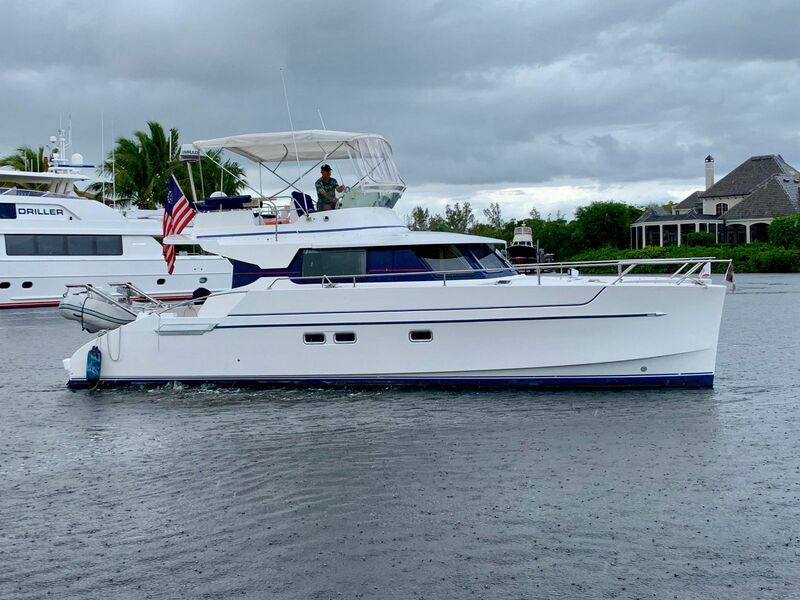 Incredibly rare, with her highly desirable 240 HP Yanmar engines with just over 2,300 hours, Northern Lights 6kW generator with 1,874 hours, dual zone MarineAir A/C and reverse cycle heat, updated Simrad electronics, KVH sat TV, and much more. She's been exceptionally well cared for and impeccably maintained. Just back from the Great Loop, Vicki Lea is absolutely ready to head out and do it again. 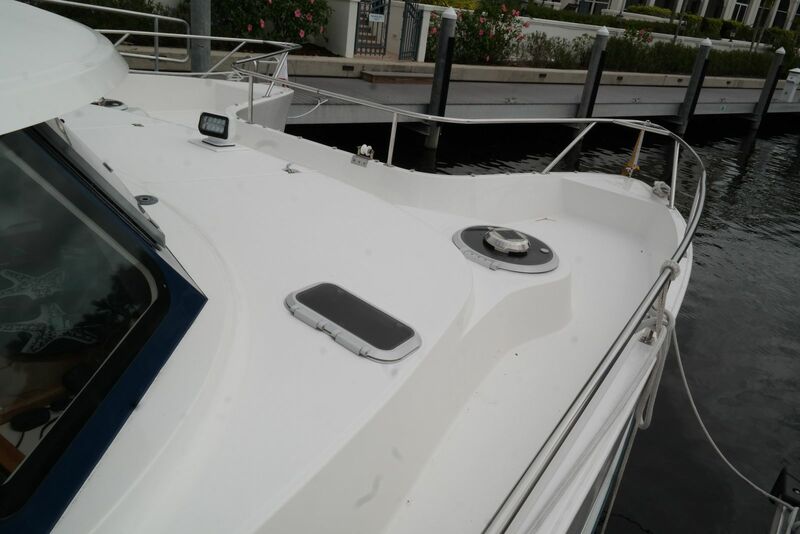 Her hull shines like it's never seen the Florida sun, her interior is in excellent condition, and she's been gone through from stem to stern. 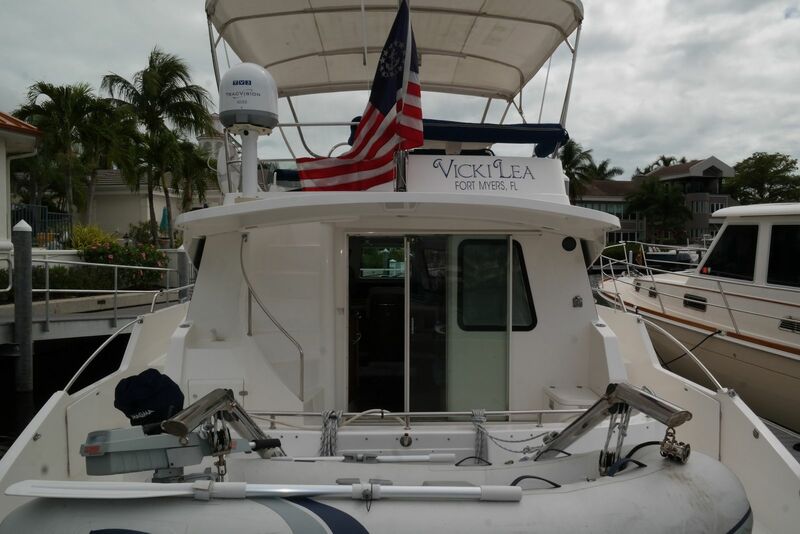 If you're looking for a long range cruiser with the legs to get you where you want to go in yet demand creature comforts, then Vicki Lea is a must see! 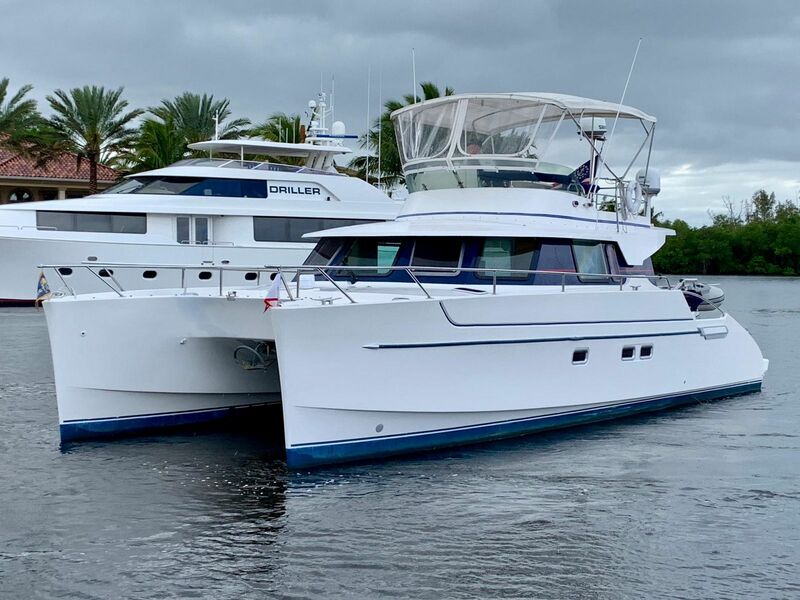 The Maryland 37 has a long cruising range and a hull form that provides exceptional seagoing qualities. This type of trawler enables one to cover 1000 nautical miles at nine knots. Her two hulls and two engines provide great stability for anchoring and ease of maneuvering, allowing the Maryland to evolve in small spaces. The Maryland 37 has an large saloon with a cabinetwork table for six to eight people which can be converted into a double bed. 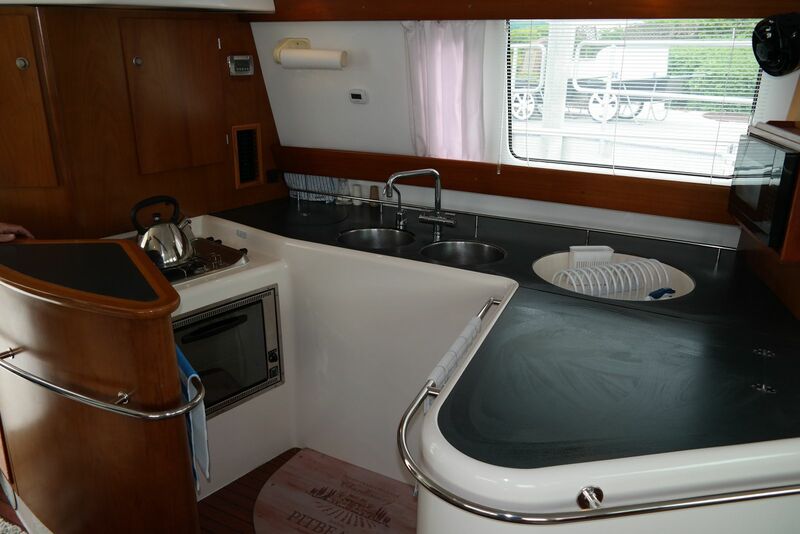 The galley is designed with a large worktop, a cabinetwork bar, and a cockpit with a panoramic view. 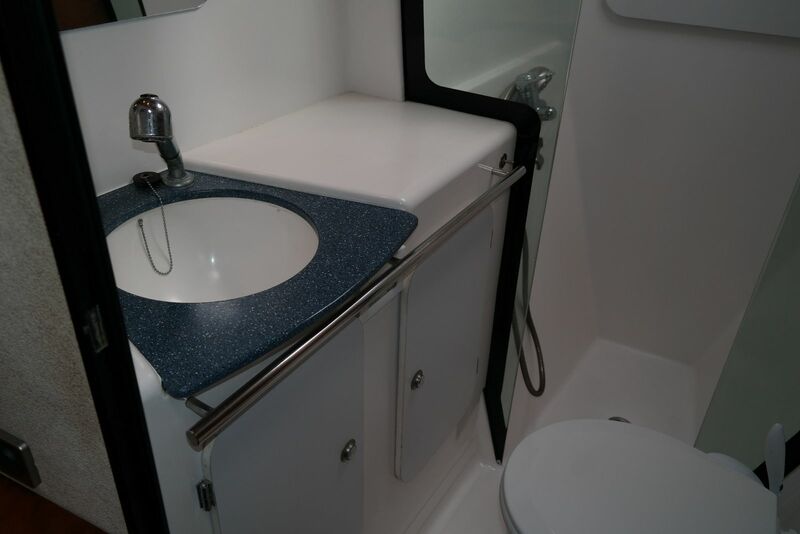 The two beautiful cabins have private showers and toilets. On deck there are two aft platforms, with a ladder and a cold water shower on the port side. 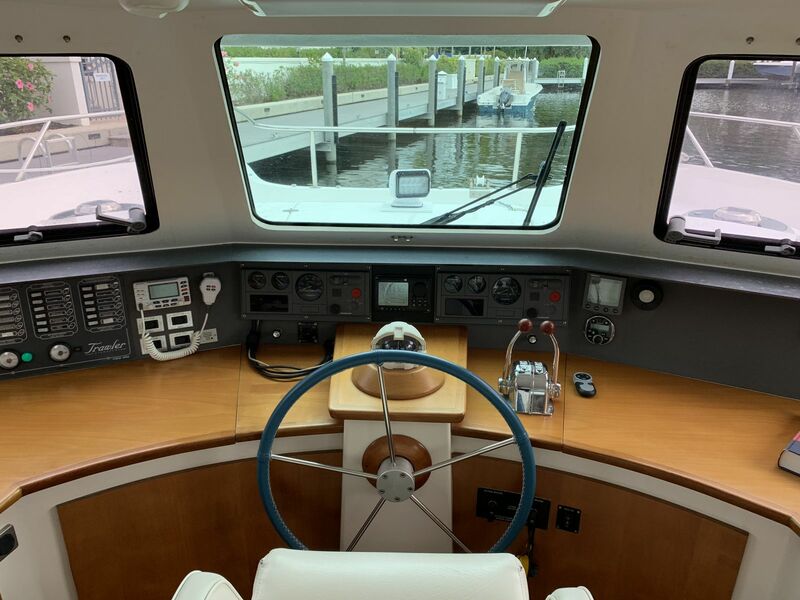 The flybridge has a complete pilotage console. 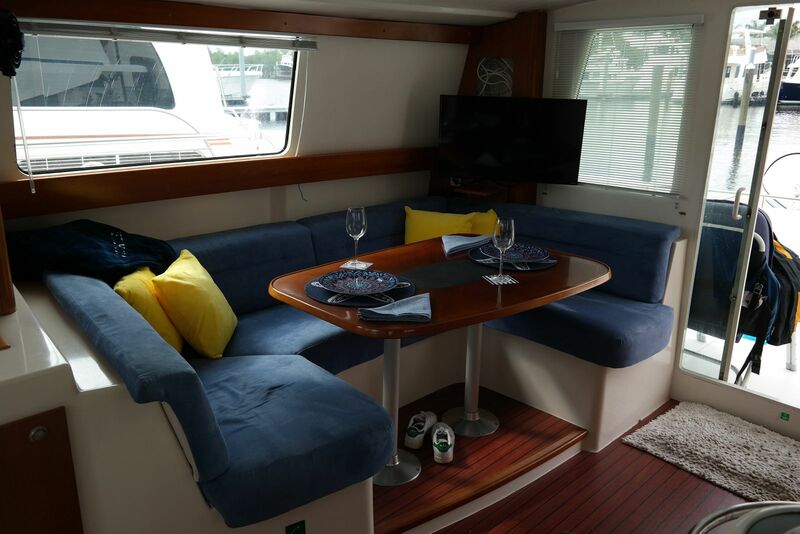 With walk-thru access from both side decks, as well as from the large sliding patio door to the main saloon, the aft deck is a functional and enjoyable area of the boat. 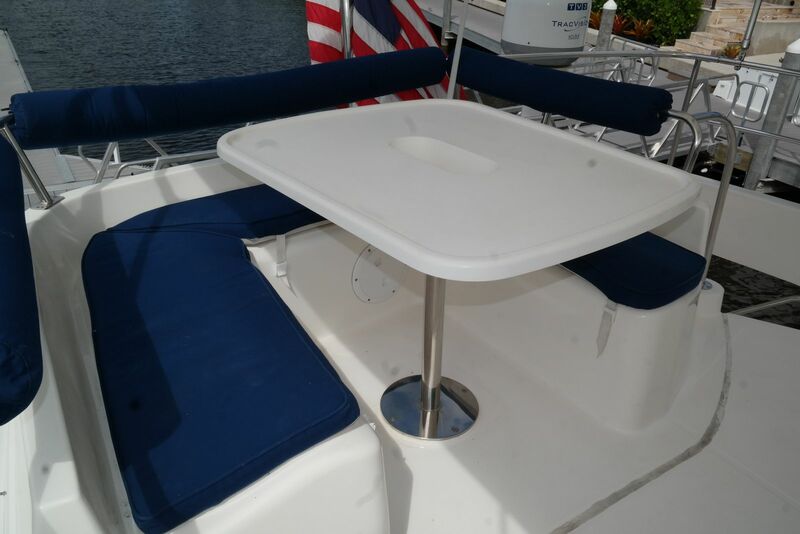 Spacious enough for a set of patio chairs, or simply left uncluttered, the aft deck where you are sure to spend a good amount of time either underway or at anchor. With little effort, you can install the full-screen enclosure for protection from the sun and mosquitos! 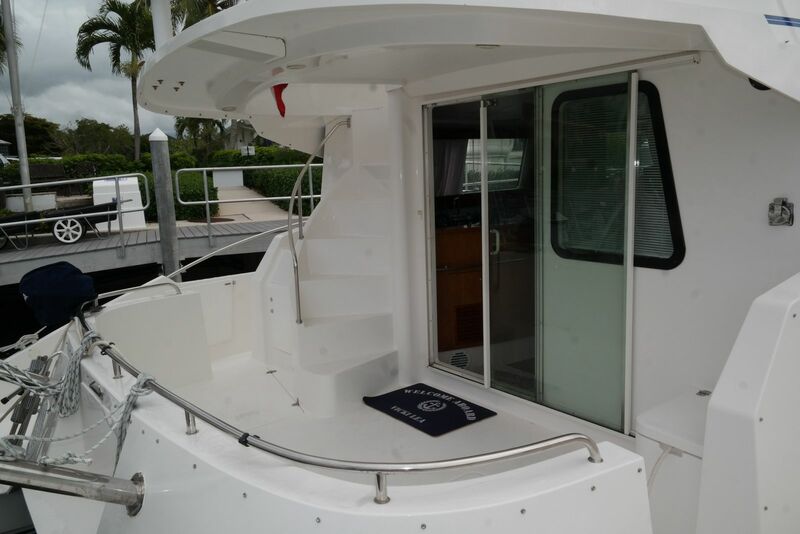 The wide wrap around stairwell, with molded non-skid stairs and a sturdy stainless-steel hand railing, makes traversing to and from the aft deck to the flybridge safe and easy while underway. Up top, the U-shaped lounge with table and double settee make for an enjoyable experience with spectacular views. 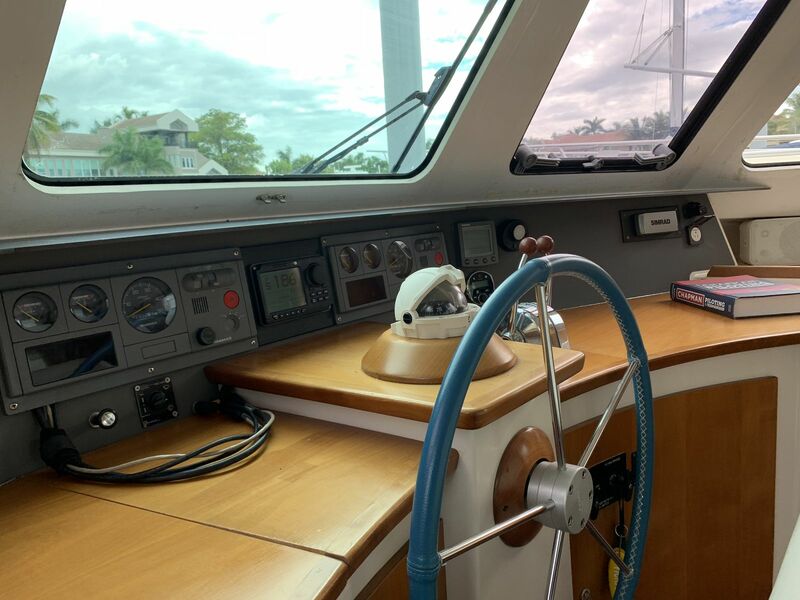 The double helm seat offers unrestricted sightlines for the skipper and full access to the ship’s navigation and communication equipment. 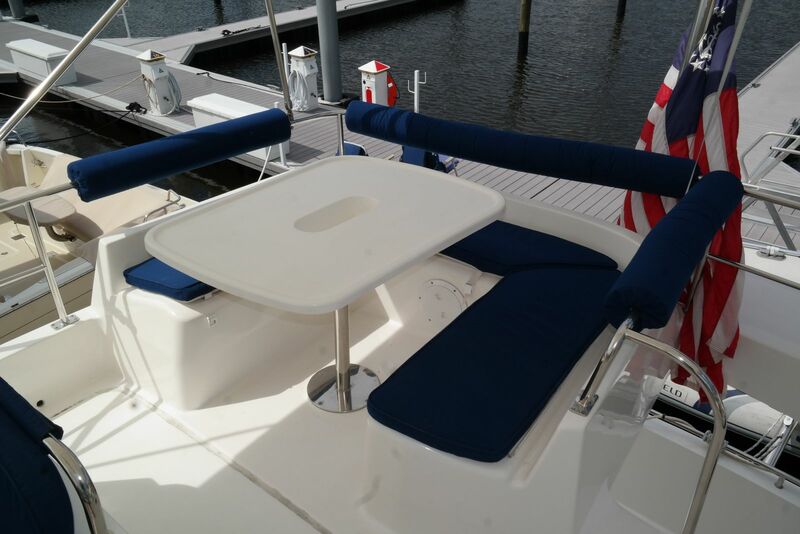 The full-length bimini top with Isinglass forward opening windows offers welcome protection from the sun and proper ventilation when needed. 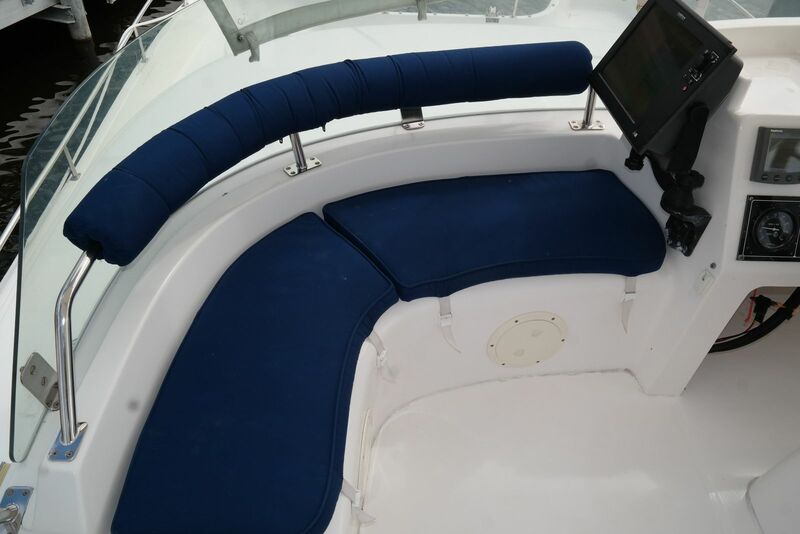 Access ports beneath the lounge and settee, as well as an opening hatch beneath the helm seat, provides lots of room for storage. Segmented foredeck locker with massive compartments for fenders, dock lines, and anchor chain, self-bailing. 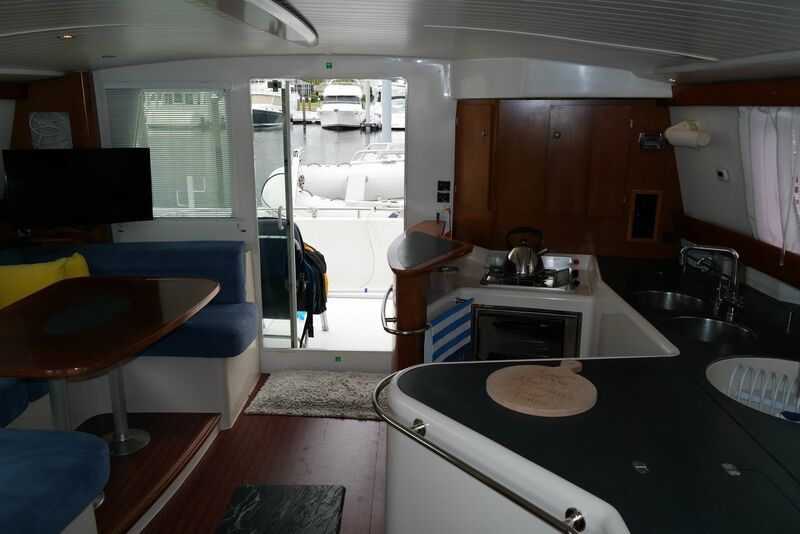 Configured as much for entertaining as utility, the galley of the Fountaine Pajot Maryland 37 is open and accessible to the main salon with island style counters, superb front access refrigeration, a very large top loading freezer, and a 3-burner stove top with easy to clean fiddled molding. The deep, double basin stainless steel sink even has a recessed, self-draining drying rack for dishes and glassware. You’ll find no shortage of storage for provisions, there are two large cabinets aft as well as pot and pan storage under the countertop. Forward, there is a large pantry cabinet with a drawer for utensils below. Warp around stainless-steel railings ensure there’s always a steady hand hold. Comfortably seating 6 adults, the wraparound lounge with a convertible table is the center of it all. 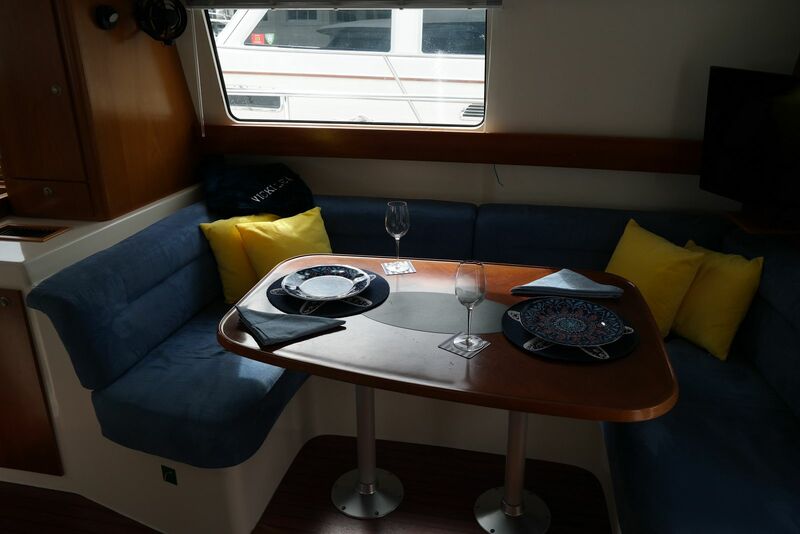 Adjacent the galley for interactive dining, open to the aft deck for entertaining, and within easy chatting distance to the helm station, the main salon is where you’ll find many hours of relaxation and enjoyment. Flanked by large panoramic windows, the natural light is abundant and pleasant, yet shades can be drawn to cut down the afternoon sun or add privacy when desired. 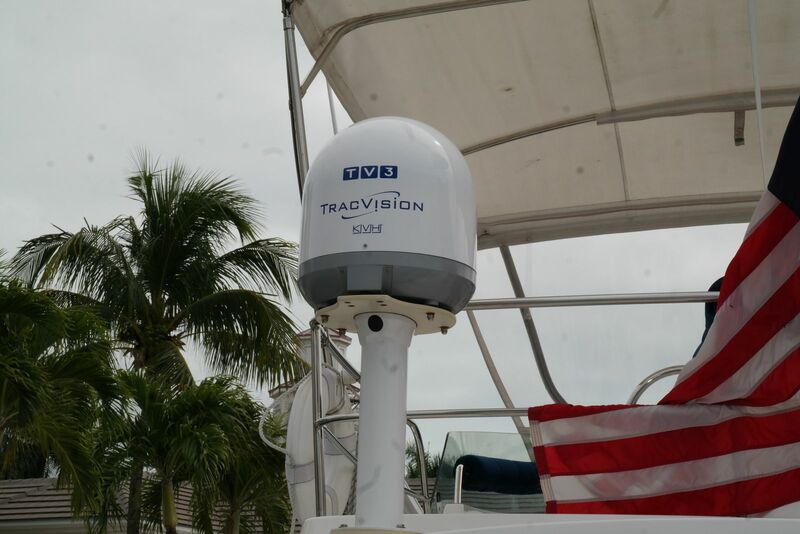 Aft, there is a Visio 32” HD TV mounted to a swiveling bracket, fully integrated with the vessels Tracvision TV3 KVH satellite TV antenna. The lounge is raised just enough to ensure an eye-level view when seated and is long enough to stretch out, perfect for a nap or a good book. 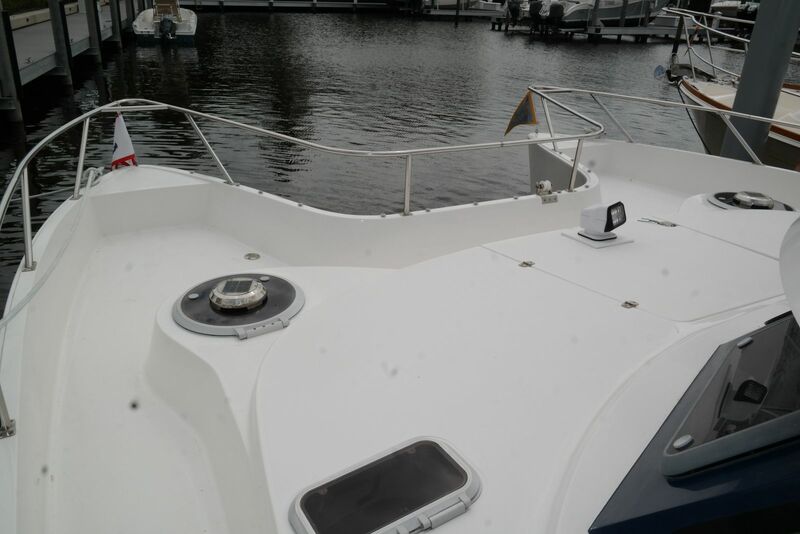 The 12VDC Hella fan, opening forward windows, and large sliding glass door to the aft deck bring a cool breeze through the interior, but when that’s not enough, enjoy the chill of the 16,000 BTU reverse cycle air conditioning with digital controls in the main saloon, even underway thanks to the 6kW Northern Lights generator. 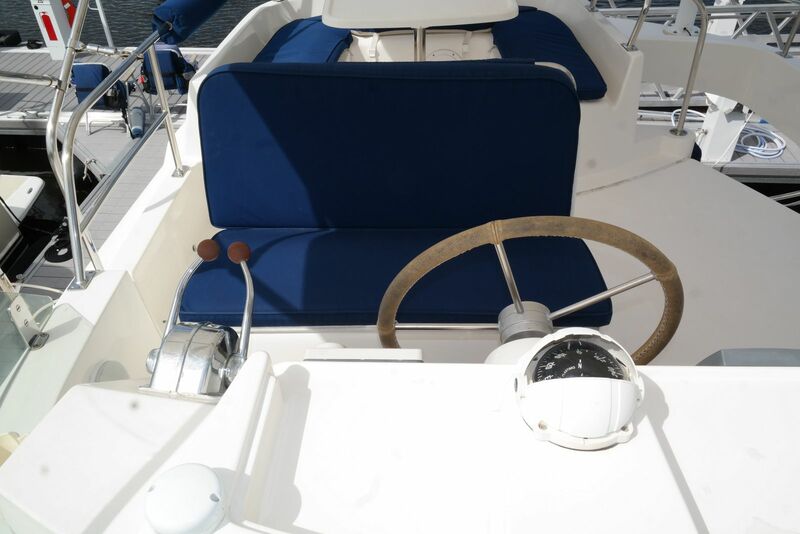 With long distance cruising in mind, the inside helm station is much more functional than most. 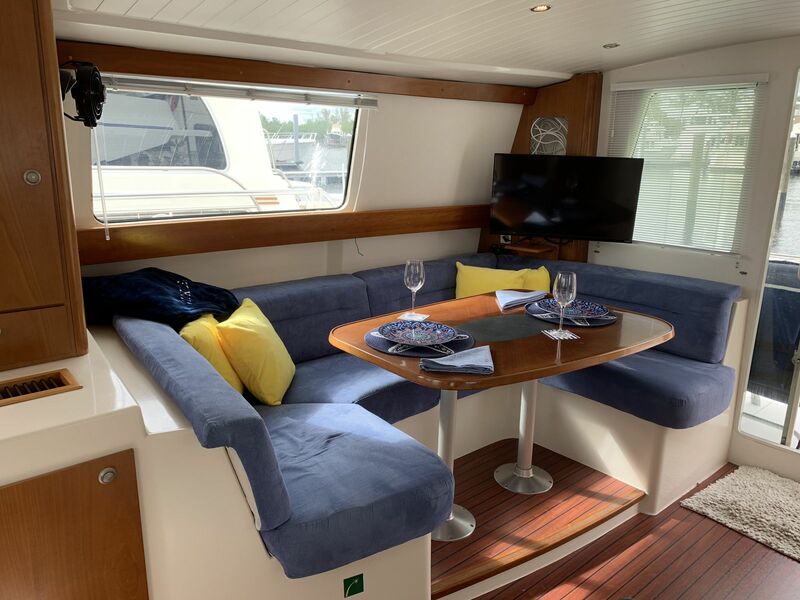 The sightlines from the bolster style captains chair are unrestricted while the large windows to port and starboard make docking, even from inside, simple. Built for all climate enjoyment such features include opening forward windows when a little extra breeze is welcome, centerline windshield wipers when it’s dreary, and reverse cycle climate controls for the warm tropics or brisk fall mornings. 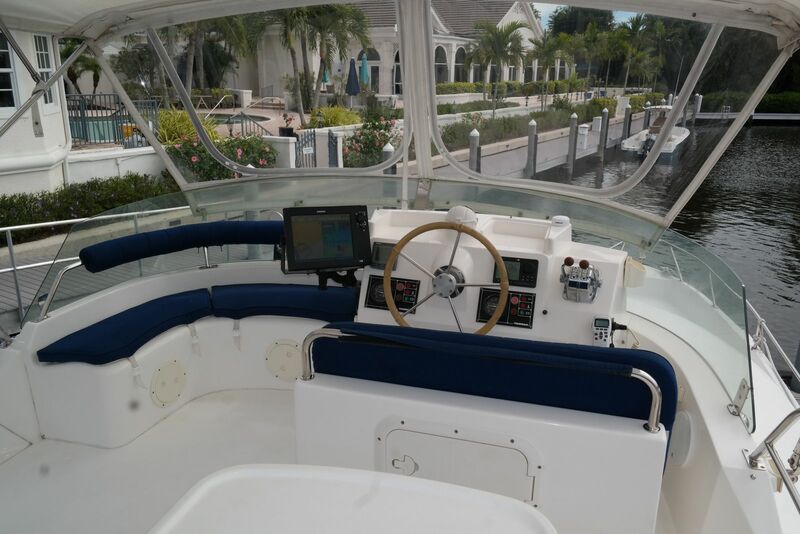 Monitoring and operating the boat is all done at your fingertips with dual engine panels and throttle controls, tridata instrumentation, autopilot, windlass controls, and even a remote-control searchlight. The port and starboard hulls are laid out in near symmetry. 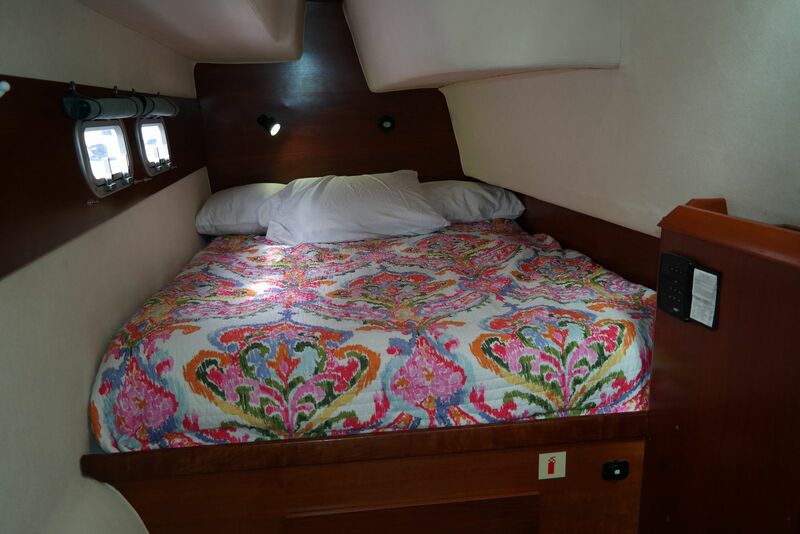 Each features a centerline double berth, very spacious for two guests with mattresses recently upgraded (port in 2016/starboard in 2017). There are two tall hanging lockers and a folding top desk. In the port stateroom, there is an extra shelf above the desk and additional storage beneath the berth. 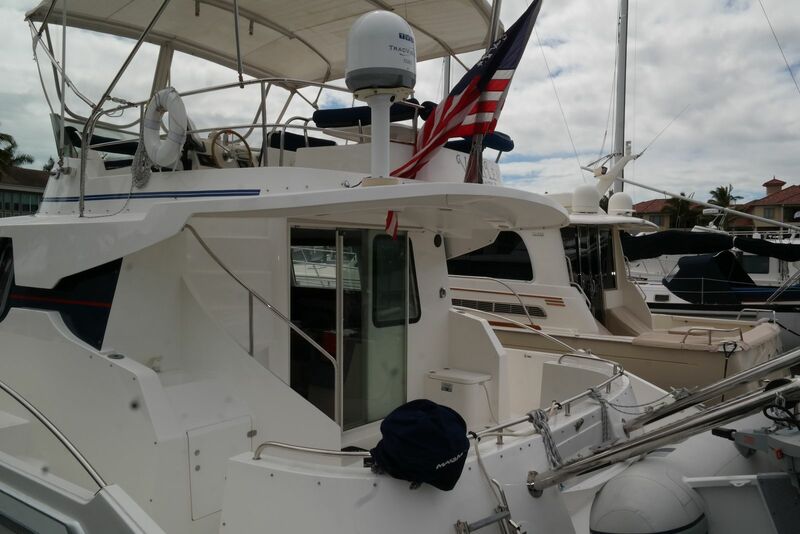 The starboard hull has a 16,000 BTU MarineAire reverse cycle A/C unit with digital controls. 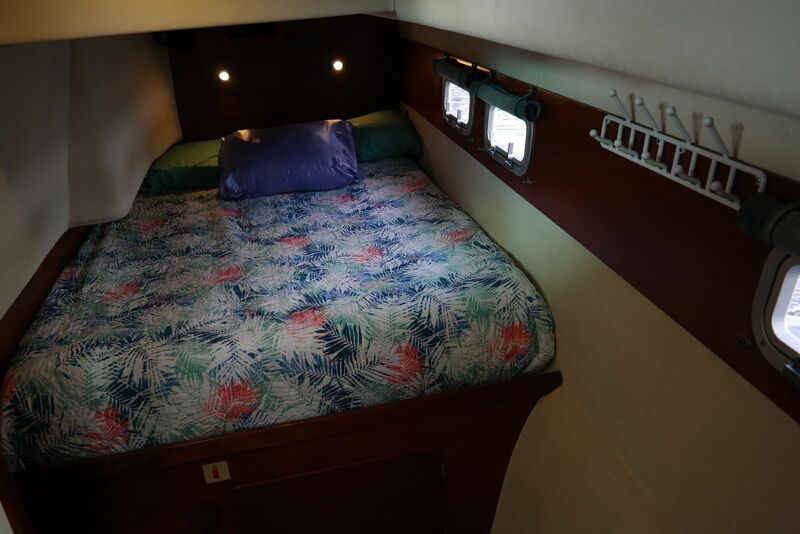 Natural ventilation and lighting is excellent, with two opening deck hatches, a solar vent, and three opening outboard portlights with shades per stateroom. 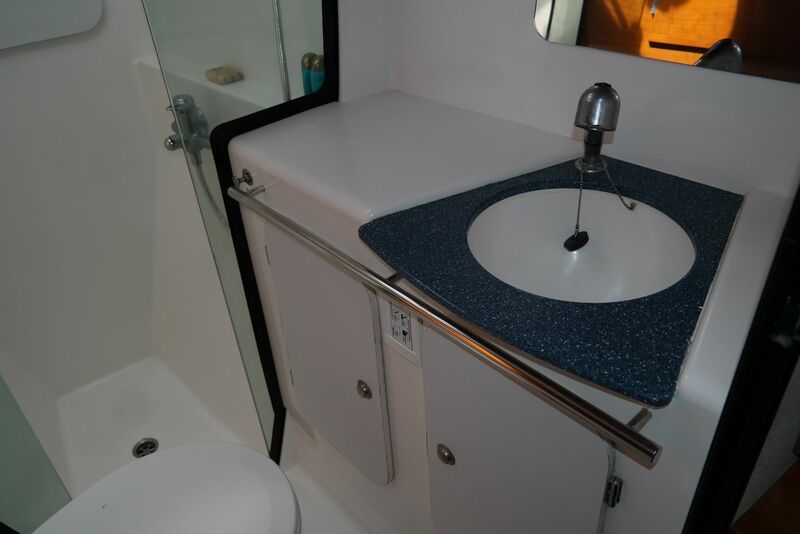 Each stateroom has ensuite heads with Raritan Marine Elegance Electric flush toilets, vanity with mirror and cabinets below, and a very large separate stall shower with access to the bow locker and the separate 35-gallon holding tanks forward. 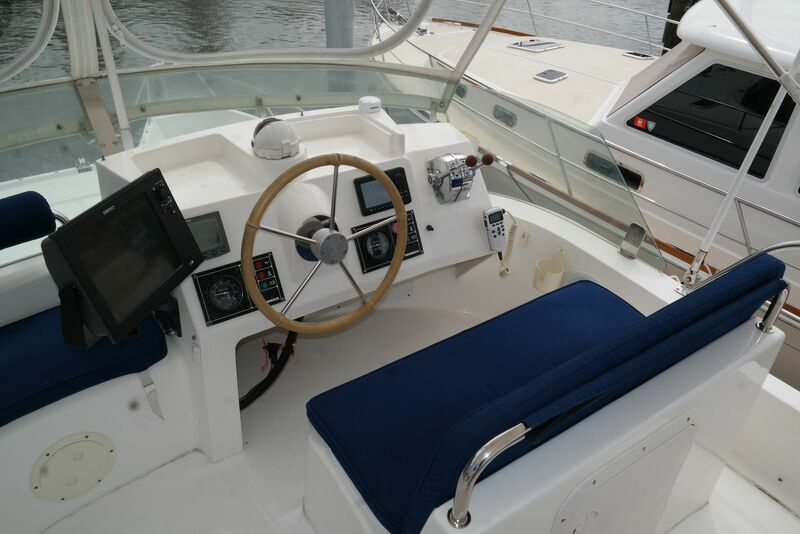 One of the best features of this boat is her upgraded Yanmar 4LHA-STP 240HP diesel engines installed new in 2008. These engines were professionally installed and have been recently serviced. New mufflers, exhaust hoses, and ports were changed out in 2016, the shaft seals and bellows replaced in 2017, and the propellers and shafts tuned in 2017. 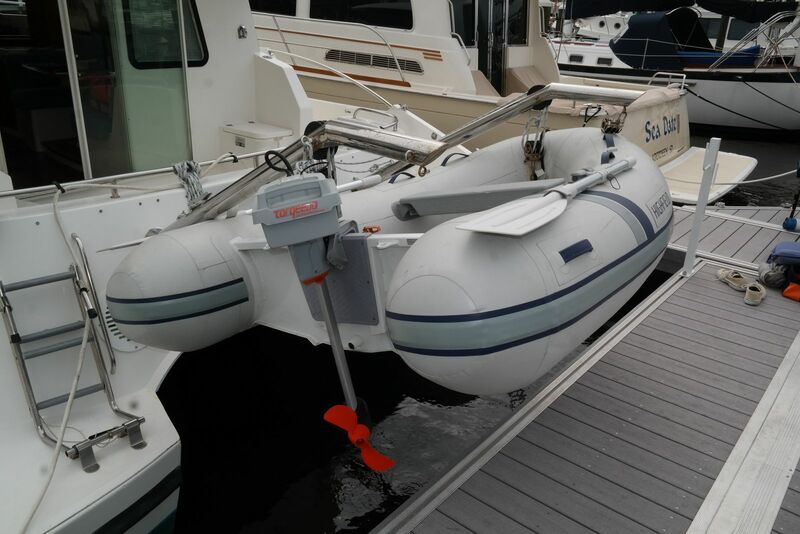 One of the best features of Vicki Lea are her protected prop skegs, the direct drive shafts are encapsulated in a strong sturdy skeg to keep the running gear protected in case of an accidental grounding.